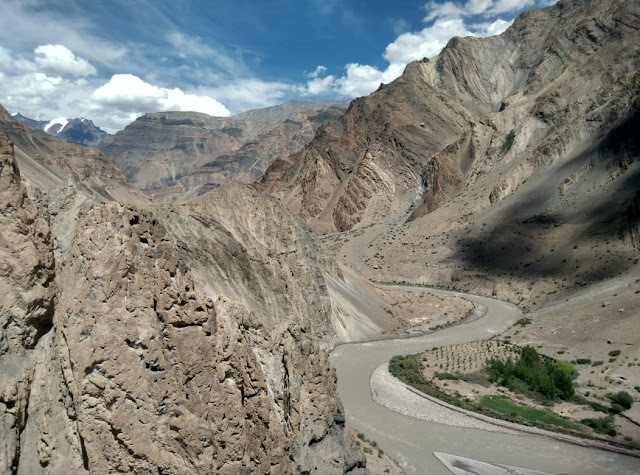 The picturesque Spiti Valley spreads out after the Kunzum Pass from Losar to Kaza and then to Tabo and Nako, finally ending in the Kinnaur belt of Himachal. A handful of small villages dot the river bank, some even located on high mountains. Villages are connected by decent roads most of the time, some high altitude ones have a kachha road for the last few miles. Almost every village has typical whitewashed mud brick houses and a monastery. The inhabitants of Spiti are Buddhists, speak a language called Bhot, and are simple and happy people. The valley gets snowbound during winter leading to extreme hardships for the villagers, but they embrace their difficulties with a smile. 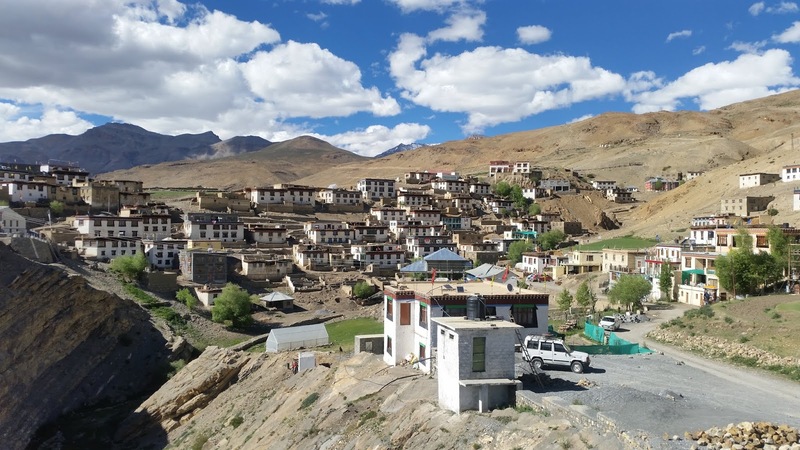 Exploring Spiti entails visiting the villages around the valley. 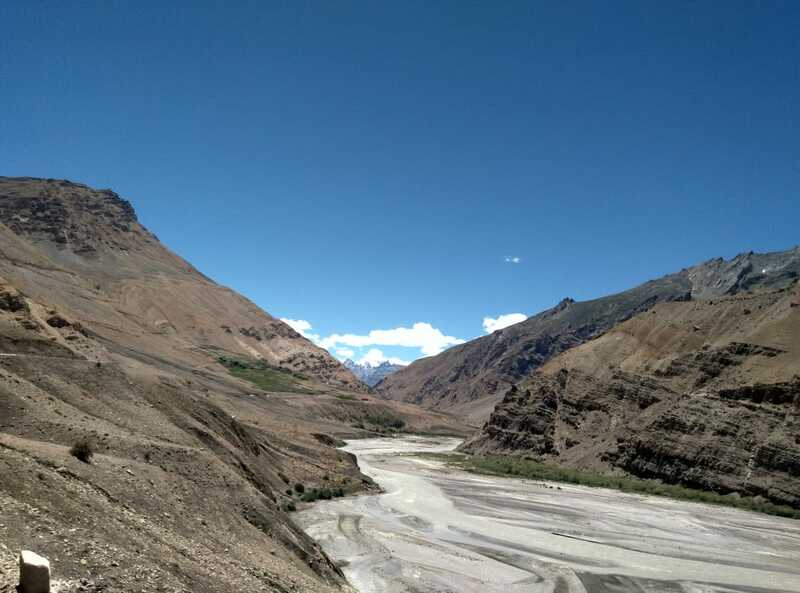 On the first day of our trip, we left our hotel ar Rangrik early and headed towards Langza, about 18 km from there. As we started climbing, the snow-capped Chau Chau Kang Nelda peak appeared right in front of us offering a majestic view. Soon, we could sight a huge Buddha statue and a clutch of houses next to it. We had arrived at Langza. 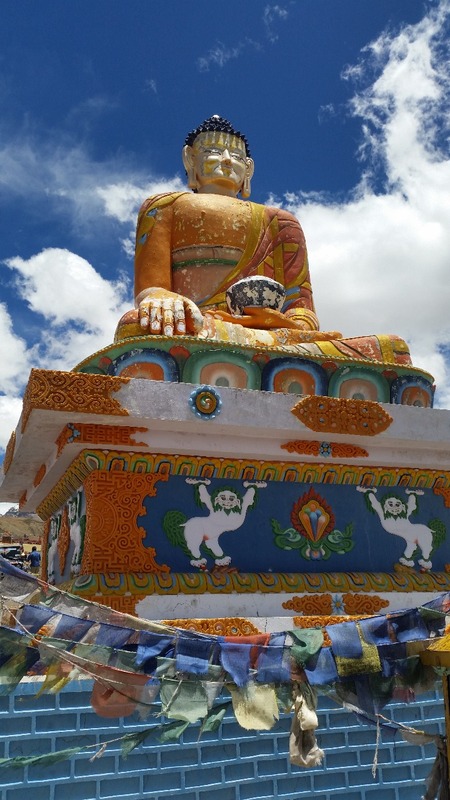 The viewpoint next to the Buddha statue provided a grand look at the scenic mountains and the valley. Langza is also known for the fossils that you can see over there. Our next stop was Komic, the village with an altitude of 15000 feet, which is 10 kms from Langza. 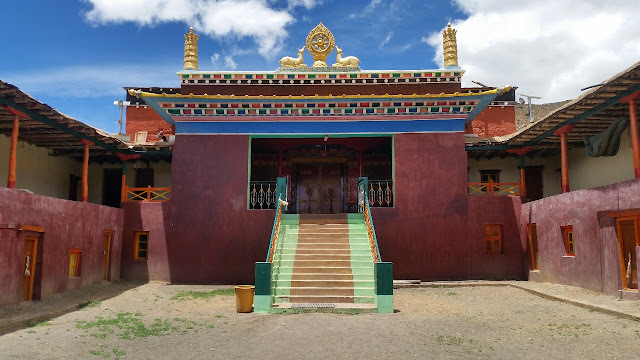 The village hosts the Tangyud Monastery, arguably the highest motorable monastery in the world. There are two monasteries facing each other the older one being more than 500 years old. Only a handful of houses are there in the small village with a population of just above a hundred people. For a food lover like me, an interesting activity was visiting the world’s highest restaurant which is located here between the two monasteries. 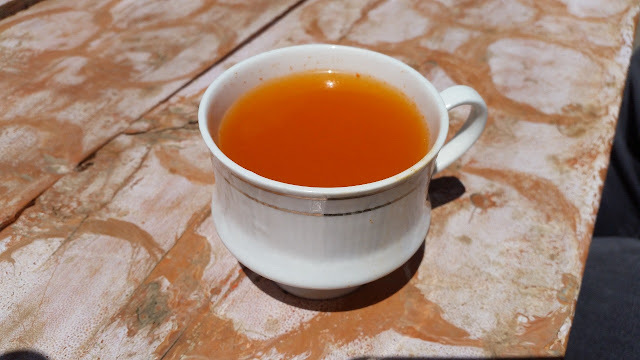 Spiti Organic Kitchen serves a range of quick bites, but the star attraction here is Seabuckthorn tea, made from the local berry which abounds in winter and has a lot of medicinal properties. 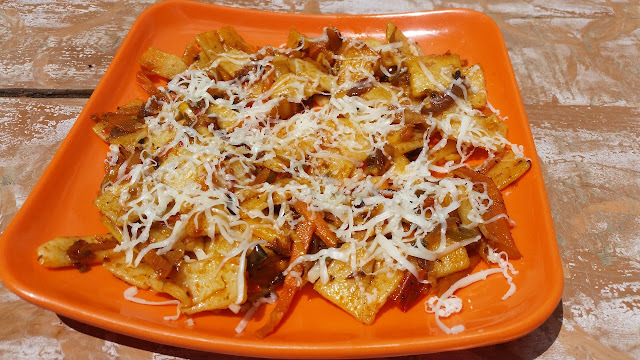 Apart from this, there was Qu, a dish made of wild onions and vegetables with cheese sprinkled on top. 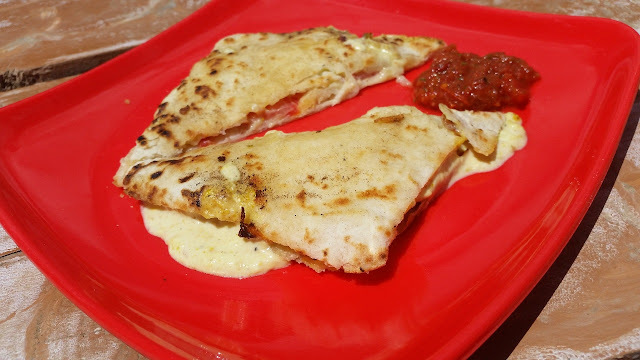 The other dish we tried was the Spiti Cheese Herb Toast served with a delicious chilli dip. 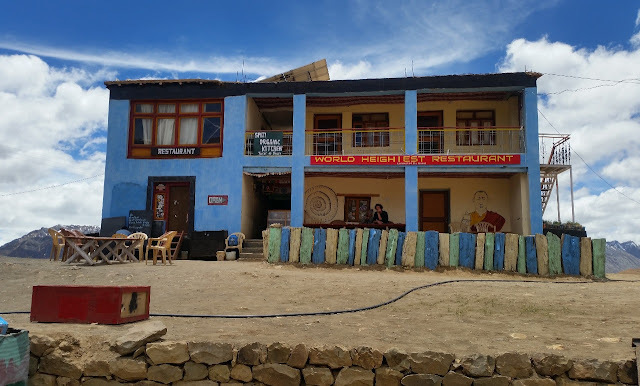 The place also serves a Spiti Thali with barley based rotis, dal, and local vegetables, but we were not hungry enough to try that. 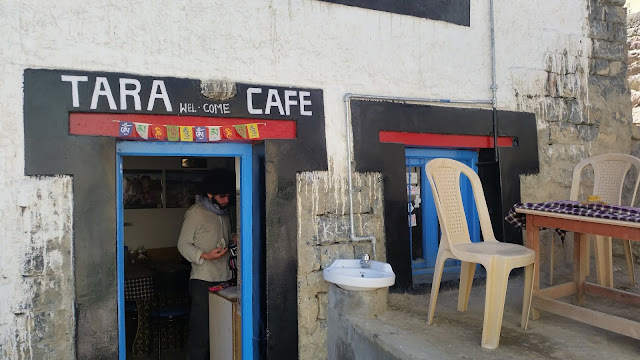 The food was simple and tasty, but looked more tailored to foreign tourists who visit Spiti in large numbers. From Komic, we started our journey downwards to reach another village Hikkim. This houses a post office which is the highest in the world. My friend Satyajit immediately sent a letter from this post office to his home address in Hyderabad. The letter reached a few days after he reached home. A chat with villagers threw up some interesting facts. Spiti Valley has a really freezing winter with the villages at high altitude cut off from the rest of the civilization for months. 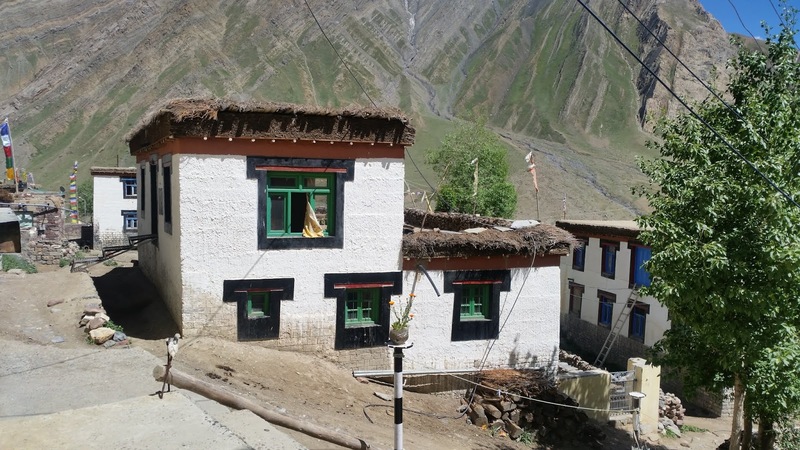 Most of the mud houses in Spiti has a special room to house the pet animals like yak, cows, and sheep during the winter, as they are unable to go out for grazing. Fodder is stored on the building roof in abundance during summer, which is used as food for these animals during this time. On the way back from Hikkim, there is a point which provides a mesmerizing bird's eye view of Kaza. We came down to the valley with the Spiti river flowing alongside and continued our journey to Kibber. This is one of the larger villages with a population of more than 300 people. As we crossed Kaza, one could see the magnificent Ki Monastery on top of a hill. The monastery is about 14 kms from Kaza and provides a breathtaking view of the valley. 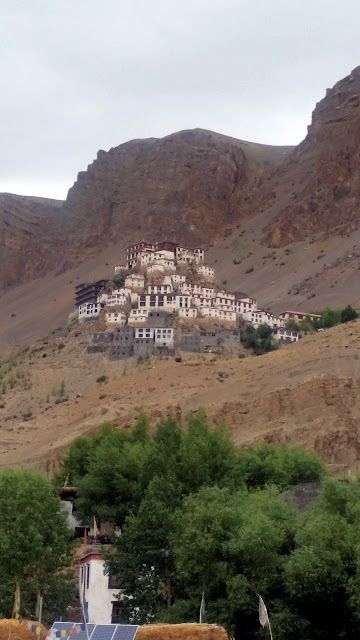 It is the largest monastery of Spiti. We visited the prayer hall briefly and resumed our journey to Kibber. Kibber is located among limestone rocks. This, in my opinion, was one of the most picturesque villages on this trip. 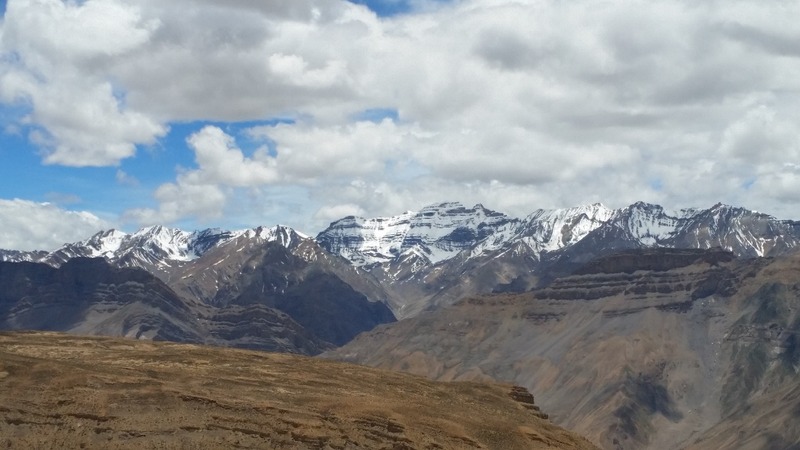 It is also the base point for the trekkers to start their climb to the peaks of Spiti. We spoke to some people in the village and had some interesting insights regarding their pet animals. The families own yaks, cows and sheep and these are allowed to graze in the valley during summer. Every day, two persons by rotation from each village are in charge of keeping track of the livestock, allowing others in the village to carry on their work. The yak is utilized in ploughing the fields. The whole village functions as a large family, there is a lot of camaraderie, and help is available without asking. It was getting dark, and we drove back to our hotel in Rangrik to continue our exploration the following day. The following day we proceeded on the main road past Kaza towards Tabo. 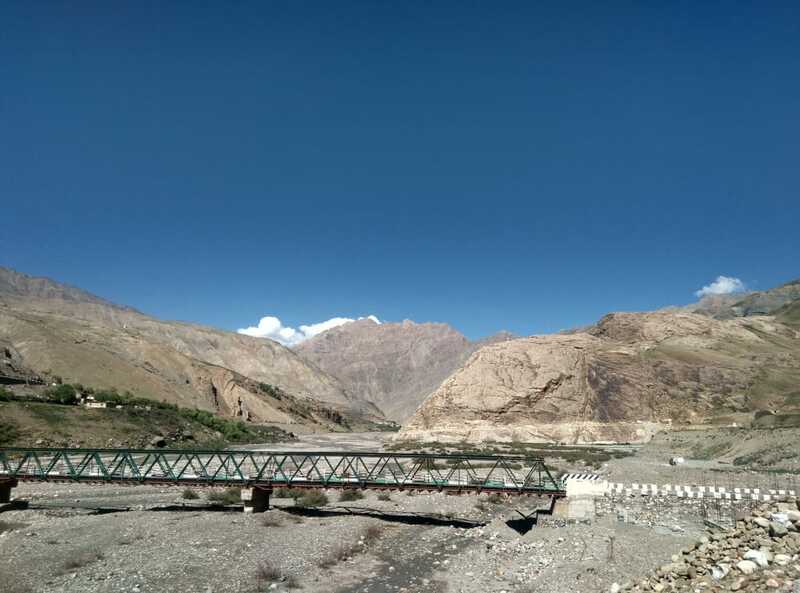 After around 20 kms, we left the main road, crossed the bridge and proceeded towards Pin Valley. 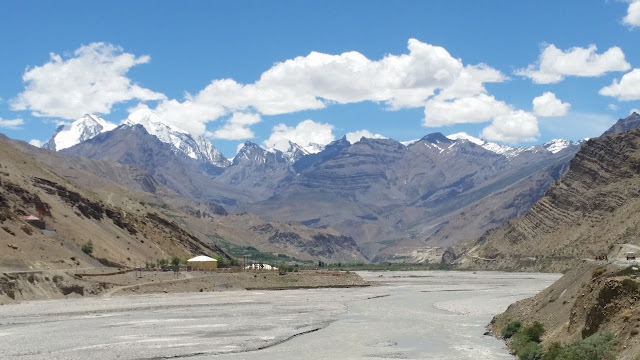 The valley gets its name from the Pin River which is a tributary of Spiti. 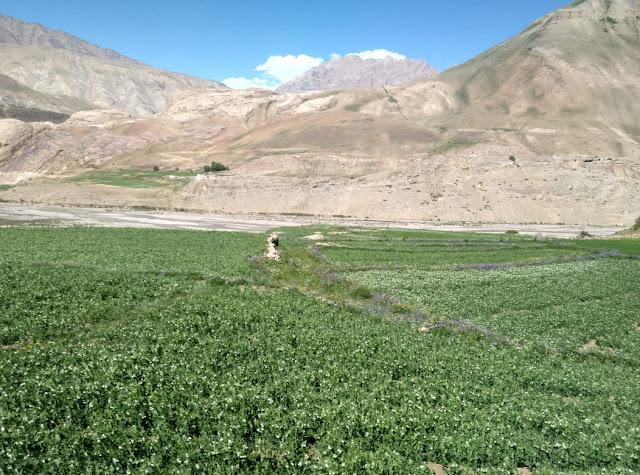 The altitude of this green belt is much lower than other parts of Spiti, and you can see barley and pea fields. A part of Pin Valley is also a wildlife sanctuary where you can come across snow leopards in the winter. 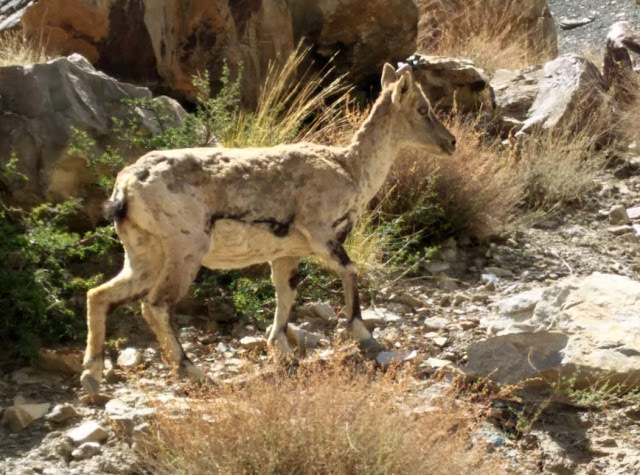 We saw some stray yaks and ibex as we passed through the sanctuary. 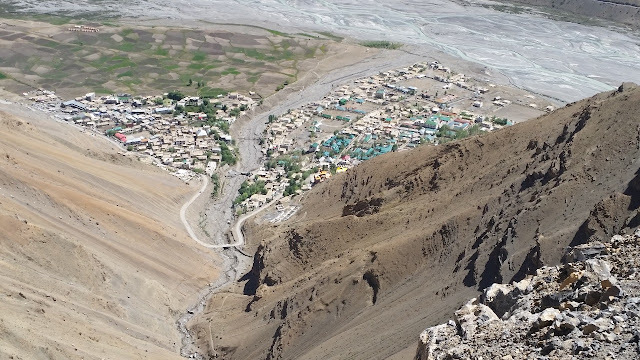 Mudh is the last village in the valley, located at a distance of 50 km from Kaza. We had tea in a small café and talked to the people there. We met a school teacher, who talked to us about the poor infrastructure and medical facilities in this region. 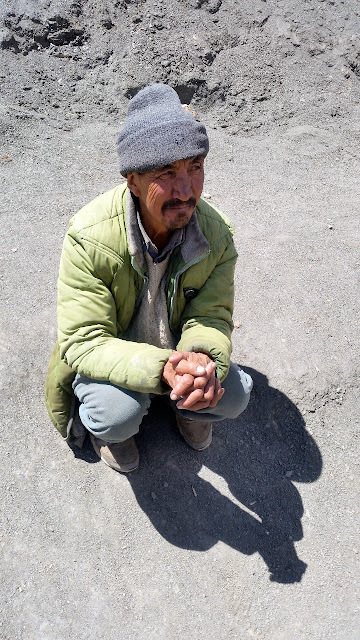 As per him, the Himachal government spends all their money in the Shimla and Manali regions, and there is hardly any development work in Spiti. 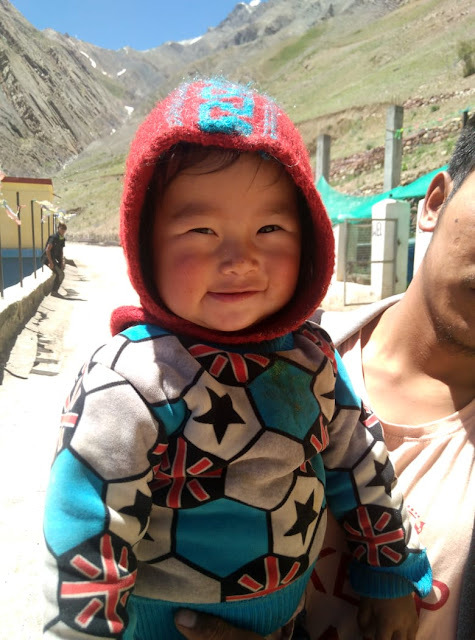 However, in spite of the tough life, most of the people we met during our trip seemed to be satisfied and contented with what they have, and the happiness index here must be one of the highest in India. 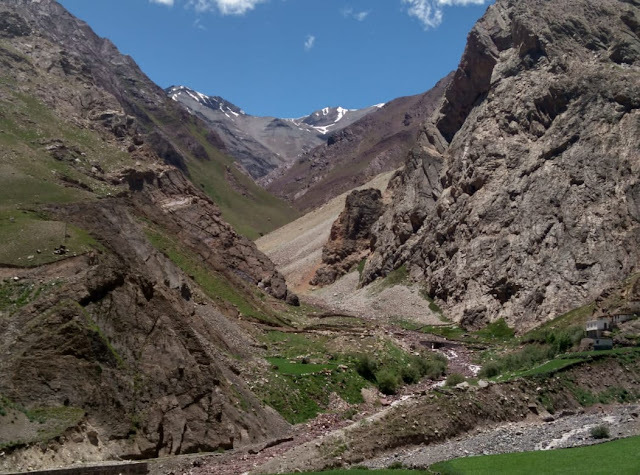 Mudh is again a starting point for treks. There are quite a few homestays in the village. We had our lunch at one of the homestays called Tara Guest House. 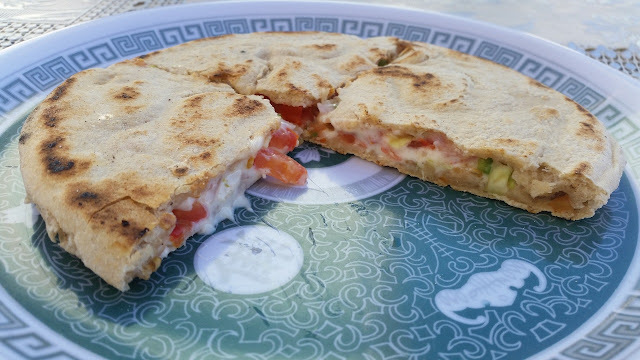 Here, we were served a dish called Spiti Pizza, which had cheese and vegetables inside a round and thick baked bread, and not as a topping. The pizzas were quite delicious and we demanded a repeat. 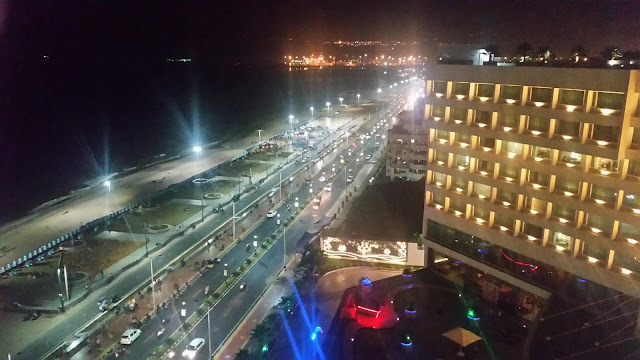 We started our return journey and reached our hotel by late evening. A point to be noted is that we hardly had any cell phone connectivity in the last three days. 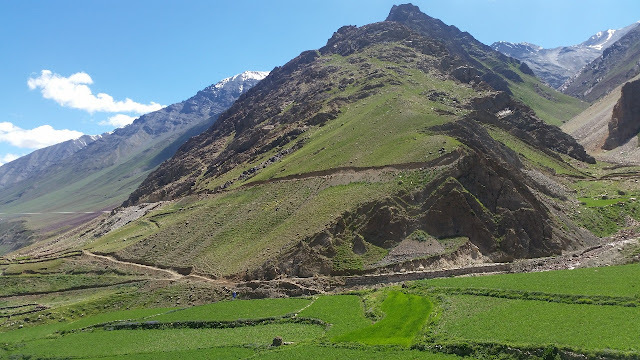 Apart from Rangrik and Kaza, none of the villages get any mobile signal. 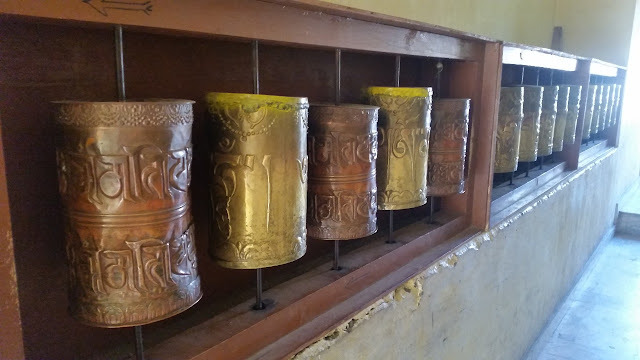 The next day was to be spent visiting Tabo and putting up at a homestay in Lhalung, one of the high altitude villages.